Annual mutual fund charges include adviser fees. When you buy shares in a mutual fund, you gain an ownership stake in a pool of securities. Mutual funds provide investors a quick, relatively easy way to create a diversified investment portfolio. However, convenience comes at a cost. Yearly mutual fund charges include management and distribution fees. Every mutual fund has an investment strategy. The fund manager is responsible for ensuring the fund's holdings are in line with its overall investment goals. For example, a growth fund would typically hold stocks rather than bonds or cash. As a shareholder, you are responsible for paying management fees. These yearly fees cover the wages of the management team. You do not pay the fees directly, as they are deducted from your shares in the fund. Fees vary between funds but are generally lower on indexed funds. An index fund doesn't require active management because it tracks a market index such as the Dow Jones industrial Average. Distribution fees typically account for the bulk of mutual fund fees. Also known as 12b-1 charges, these cover the fund's marketing costs and sales related charges such as broker's fees. In some cases, 12b-1 fees also include service fees, which cover the costs related to shareholder advisory services. As with management fees, 12b-1 fees are deducted from your shares. The Financial Industry Regulatory Authority caps 12b-1 fees at 1 percent of your holdings in the fund. Custodial fees, legal costs and other miscellaneous expenses are lumped together and referred to as "other expenses." Mutual fund companies pay accounting fees and the wages of transfer agents with money generated in this broad fee category. Some companies classify advisory service fees as "other expenses" rather than 12b-1 fees. 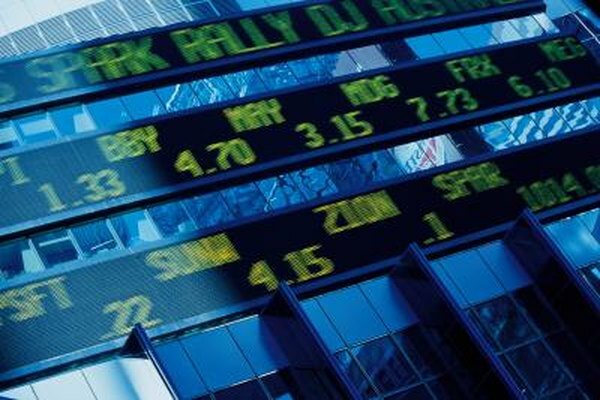 Sales charges related to trading activities within the fund are also included in this category. Neither the Securities and Exchange Commission nor FINRA set limits on fees in this category. Mutual fund shares come in many varieties and 12b-1 fees are typically higher on B and C class shares than on A class shares. However, yearly operating expenses are just part of the cost equation. When you buy A shares, you pay an upfront sales charge known as a "load." This often amounts to 4 or 5 percent of your initial investment. In contrast, you pay nothing upfront to buy B or C shares, although you may pay a contingent deferred sales charge when you redeem your shares. Depending on your time horizon, A class shares may prove to be less expensive in the long run than B or C shares.